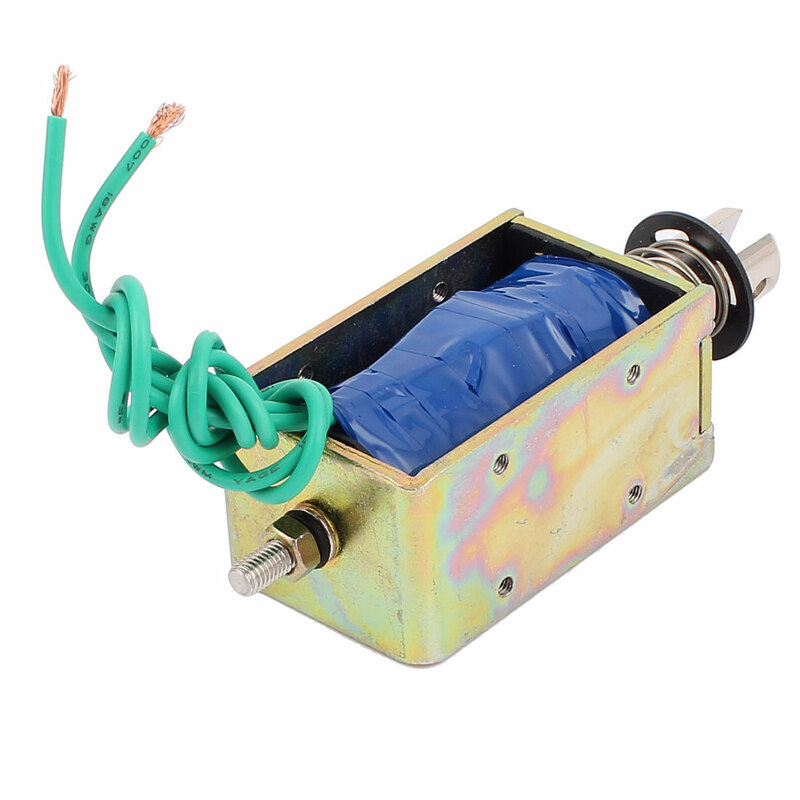 1.Pull push type, linear motion, tubular, plunger spring return, DC solenoid electronmagnet.? 2.DC Solemoid Electromagnet mainly used in vending machines, transport equipment, office facility? household appliance, mechanical, etc. 3.When energized, doing work through pulling pushing in plunger joined object. Screw Hole Diameter: 3mm / 0.12"; Cable Length: 25cm / 9.84"